Hi everyone! I am so excited about today's post. 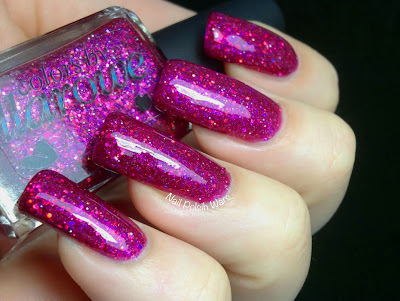 Leah Ann, the creator of Colors by Llarowe, recently contacted me about her new polish duo, The Bald and The Beautiful. These two shades are inspired by Talia Joy, and 100% of the proceeds will be donated to St. Judes Children's Hospital. 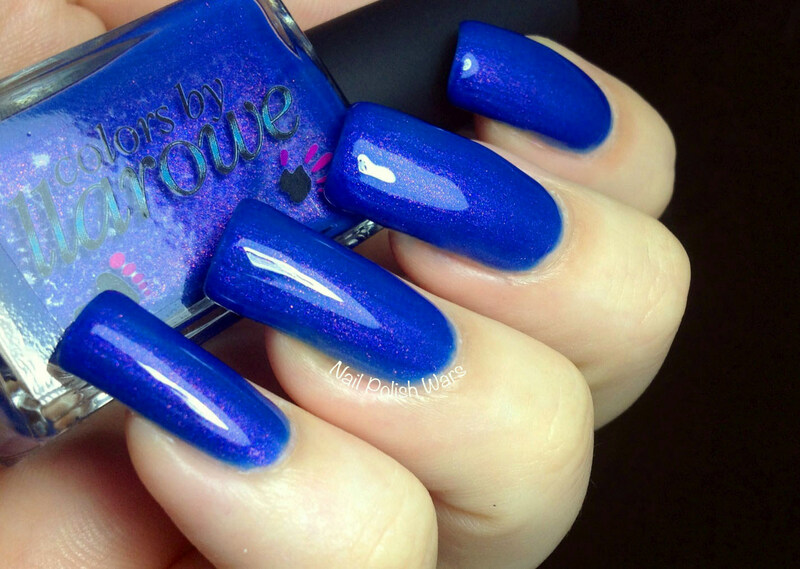 The first shade in the Duo is a gorgeous deep blue with an amazing purple shimmer. The formula was smooth and easy to apply. I absolutely adore this shade! 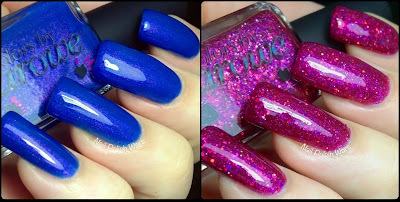 It is such a bold and eye catching blue, and the purple shimmer makes it shine electric. The second shade is a bright raspberry jelly loaded with raspberry and purple holographic micro glitters, as well as iridescent sparkles. The formula was smooth and easy to apply, and the glitters spread out very evenly across the nail. This shade is absolutely gorgeous!!!!! It's such a bright and fun shade, and sparkles like a thousand diamonds across your nails!! This amazing duo will be available at Llarowe tentatively on August 15th. And remember, 100% of the proceeds will be donated to St. Judes Children's Hospital!! I am so deeply moved by continuing to see people still showing their love and respect for Talia Joy and her family. So thank you so much to Leah Ann for this amazing duo and your wonderful generosity!! "I sat and watched videos of her trying to capture her spirit which would be totally impossible unless you could bottle sunshine." I couldn't agree more :) But boy, she did her research, and it paid off! I am head-over-heels in love with set! Blue was Talia's favorite color, and then the holo sparkles and bright vibrant colors really capture her spunky personality... it's just perfect, it really is! And kudos to Leah Ann for donating 100% of the proceeds to St Judes. It's a great thing that she's doing. Beautiful! I will be purchasing this duo for sure. Lovely polishes to honour such a lovely person. These are so gorgeous!! Nice idea, as well. How truly awesome. 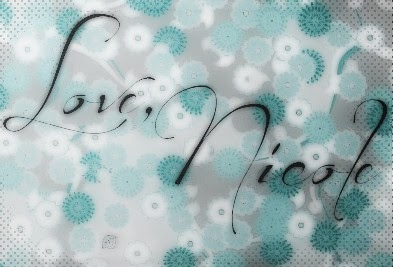 You did such an amazing thing Nicole, you certainly deserved to unveil this!